Visit the proposed Land of Bountiful and the cities of the East Wilderness mentioned in the Book of Mormon and learn from our experts about the many connections between the history of the Mayan civilization and their culture and how it all ties to the scriptures. 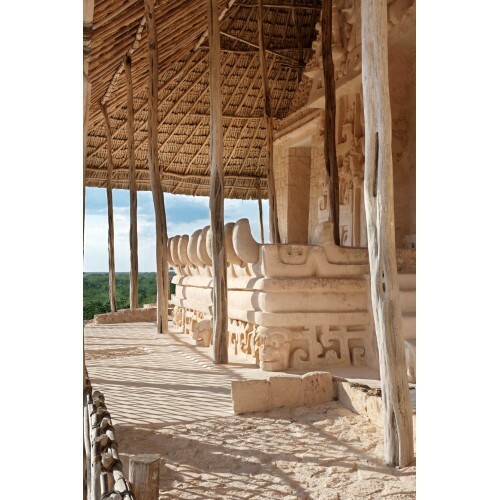 On this incredible Multi-Day tour, we will take you to visit the Mayan sites south of Cancun and also the most popular sites in Belize and Guatemala such as Lamanai, Lake Peten Itza, and Tikal. 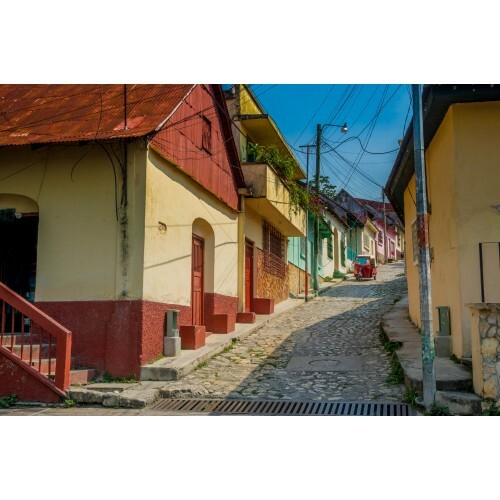 Choose this fantastic LDS tour to Belize, Guatemala, and Mexico and experience 3 countries all in one trip! Looking for the best price? 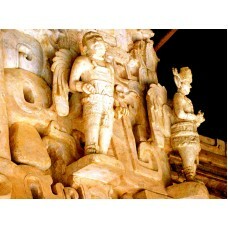 Join our next tour dates and pay our group discounted price of $1,870.00 USD Per Person Tax Included! Click on “BOOK NOW” to sign up for our next dates. Group size average from 12 – 16 People. Book your flight to the Cancun Airport where our staff awaits to take to your hotel in Playa del Carmen. A welcome breakfast awaits before we begin our journey southbound to Dzibanche and Kohunlich. Enjoy the amazing history and commentary of your guide as we travel in our premium vehicles. We depart early to the Belizean border. Your guide will assist you through all the details. Once in Belize, we will head over to Carmelita to catch our boat and depart on the New River to Lamanai, proposed by many LDS scholars as the City of Jershon. 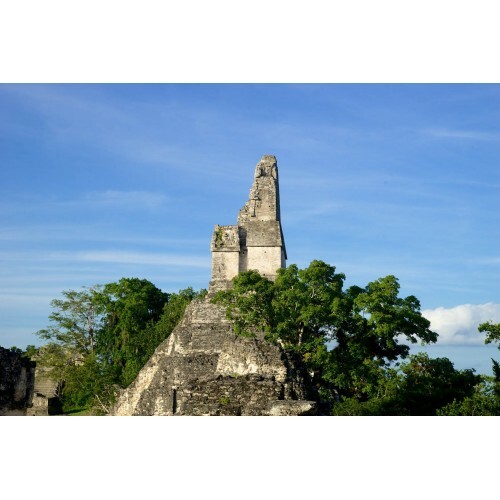 On this same day, we will cross into Guatemala and arrive at our hotel by Tikal ruins. 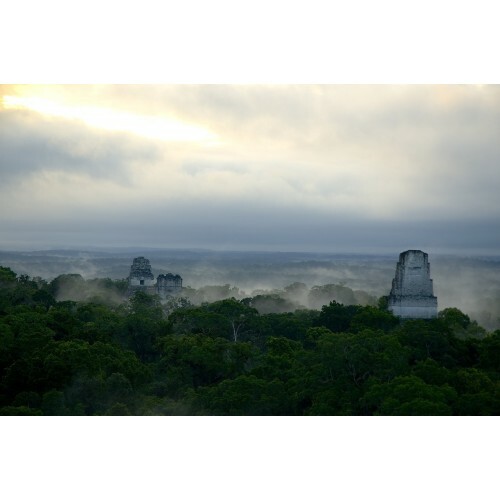 Get ready, today we are visiting one of the most famous cities of Mayan history: Tikal. Here will see incredible monumental temples and palaces, and yes, even the one featured in Star Wars, in case you were wondering. 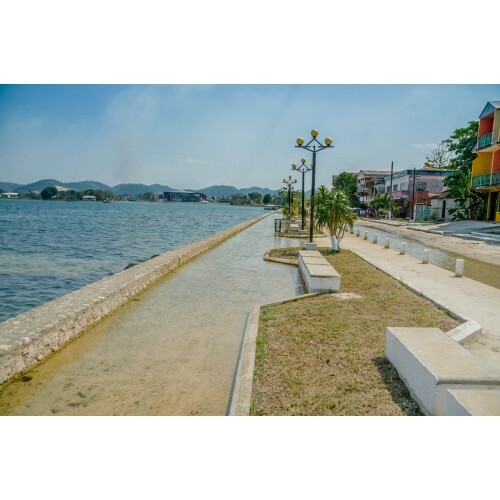 After we take you to visit a charming little island on Lake Peten Itza called Flores. We will spend the evening here and the following day as well. Sleep in, enjoy the hotel, go out and explore the streets of Flores, or book additional activities offered at the hotel. We begin our return to Cancun, but first, we make a stop in Belize at Blue Hole National Park, a beautiful natural rainforest reserve, to hike up some short trails to reach Caves Branch creek and begin our cave tubing adventure. 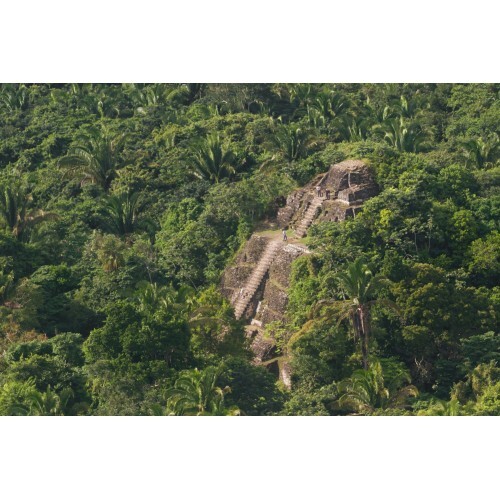 Enjoy the natural beauty and wildlife, watch out for the spider monkeys, they can be quite playful! 7th Day: Bacalar 7 Color Lagoon and Farewell dinner at 5th Ave. Departing from your hotel in Chetumal, you will visit a Spanish lookout in the beautiful town of Bacalar. A 16th Century fortress built by the Spanish. Next, we head over to our favorite beach club in town to enjoy a delicious meal and take a swim in the pristine turquoise waters of the lagoon. Wakeboarding, jet skiing, kayaking, paddle boarding are some of the activities you may enjoy here. Upon our return to Playa del Carmen, our hometown, we gather for a last hoorah at La Parrilla Restaurant on the 5th to finish off our amazing adventure. We say goodbye and drop you off at the Cancun International Airport. We hope to see ya next time! 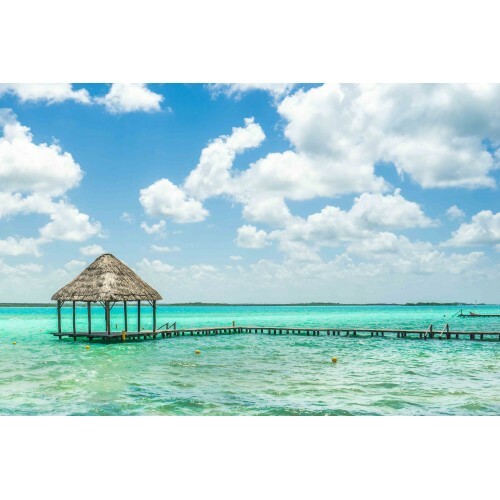 Optional activities sold separately at Flores, Guatemala and Bacalar Lagoon, Mexico. Looking for the best price? Join our next tour dates and pay our group discounted price of $1,870.00 USD Per Person Tax Included! . Group size average from 12 – 16 People. *Prices based on double occupancy. In case of traveling solo, a single supplement fee is required.